The Mystic Krewe is pleased to announce that we will be hosting official IFPA-sanctioned pinball tournaments at BARCADIA, located at 601 Tchoupitoulas, not far from the New Orleans convention center. Thanks to everyone who came and made our event so successful! The first tournament in this upcoming series starts SATURDAY, JULY 27, 2013! TOURNAMENT REGISTRATION CLOSES AT 1:00pm SATURDAY. You must be at the venue by 1pm to be in the tournament. There is a one-time registration fee. Cash and other prizes may be awarded to the winners based on how much participation there is. Custom trophies will be awarded. IFPA WPPR-points will also be awarded to all contestants. 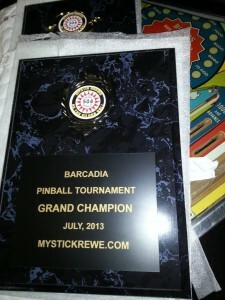 Everyone participating will be registered and ranked in the international IFPA database of seeded, pinball players. There will be no qualification rounds for the tournament. The majority of modern pinball competitions are often held on brand new machines or “better-than-new”, collector-quality games that rarely see any significant play. 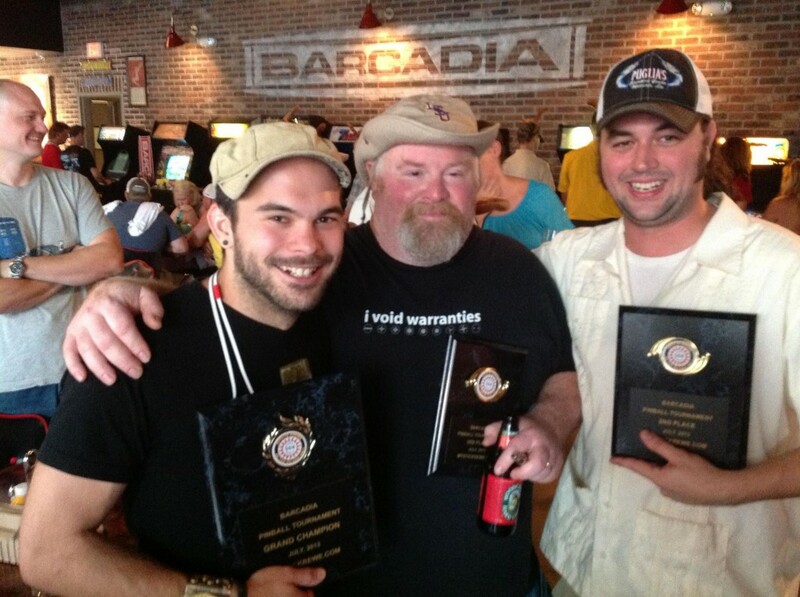 For this special tournament we wanted to harken back to the old days of classic pinball, and use the venue’s actual heavily-operated games, with all their bumps, bruises and imperfections. Old school pinballers know that playing “bar pinball” is a lot different than what modern competitors deal with. So part of the competition will involve working around the imperfections, and in some cases, malfunctioning issues with games that have been continuously serving the general public for as much as 40 years! The MK routinely operates tournaments on more modern and much cleaner games. This tournament won’t be like that. It will be down-and-dirty, but it’s still head-to-head so everybody has a chance to win. These are old machines and we will likely have various things go wrong – we will slog through them and only problems that directly cause one player to have an unfair advantage over his immediate competitor will be addressed. Otherwise we’re going to play through. Part of the challenge is showing you can play a less-than-perfectly-tuned game as well as something that just came out of the box. No excuses. 🙂 Of course, we will also be having some newer games in very good condition, so everyone will hopefully get a chance to perform on a variety of machine types. $20 PRE REGISTRATION! Use the “Buy Now” button to pre-register for the tournament at $5 off, and secure your spot on the roster. If you register now, you will be guaranteed to be enrolled in the tournament. In case you arrive late, you will still be able to compete as long as you’re there before your round ends. REGISTRATION ON SITE WILL BE $25 and players must be at the venue by 1pm – once we start the tournament it’s unlikely we can add any competitors, so make sure you’re there on time. Use the “Buy Now” button below and secure your spot! Pre-registration is now closed – you must register on-site for $25 to participate. There will be all kinds of drink specials, food specials and free play of video games during the tournament. Who will win this? Maybe YOU? Did we mention how awesome the food is at Barcadia?? ?